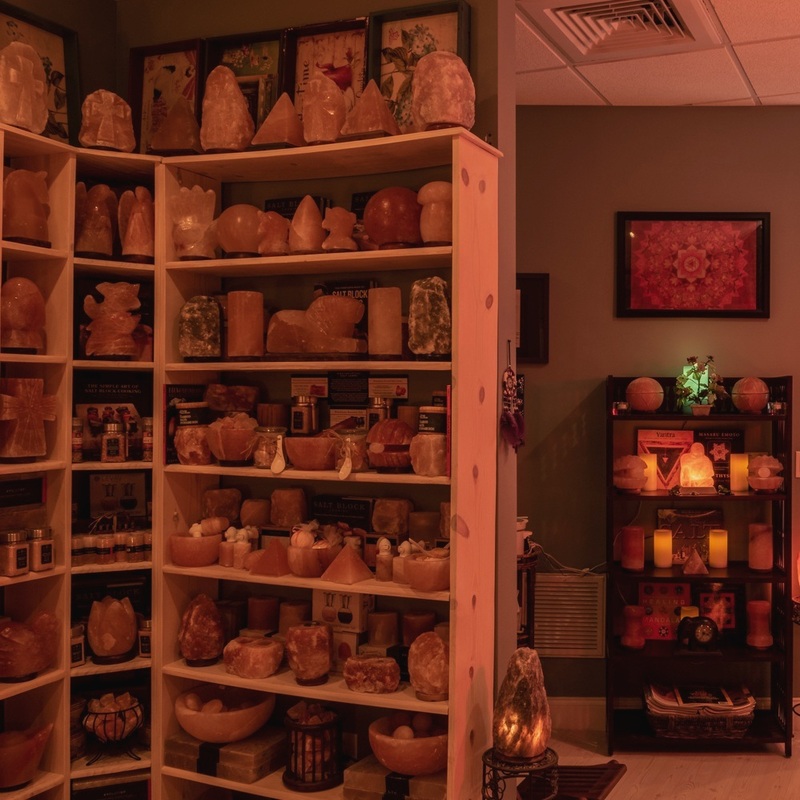 Therapeutic & Decorative Salt Lamps That Leave You Feeling Refreshed & Revitalized. This might be the first time you've heard the word Halotherapy, but the salt room phenomenon is rapidly spreading throughout the world- especially the United States- as one of the most popular alternatives to find relief from an array of health issues NATURALLY, EFFECTIVELY and INEXPENSIVELY. Halotherapy (Salt Room Therapy) works by distributing small amounts of 99.9% USP Grade Salt (the same used in the salt water solutions at hospitals) into the salt room via a halogenerator. This specifically designed halogenerator crushes the pure salt into a dry aerosol of .2-.5 microns, which is small enough to travel through both upper and lower chambers of the respiratory system into the deepest portion of the lungs - the alveoli. If you suffer from respiratory issues including asthma, allergies, COPD, cystic fibrosis, bronchitis, emphysema, sinusitis, etc... the dry salt aerosol will widen the airways, thus reducing inflammation by removing excess liquid from the tissues - restoring transport of mucus and unclogging blockages. Salt Sanctuary is a place of healing and relaxation. It's most impressive feature is a remarkable man-made Himalayan salt cave where for over 250 million years the Himalayan crystal salt remained untouched. 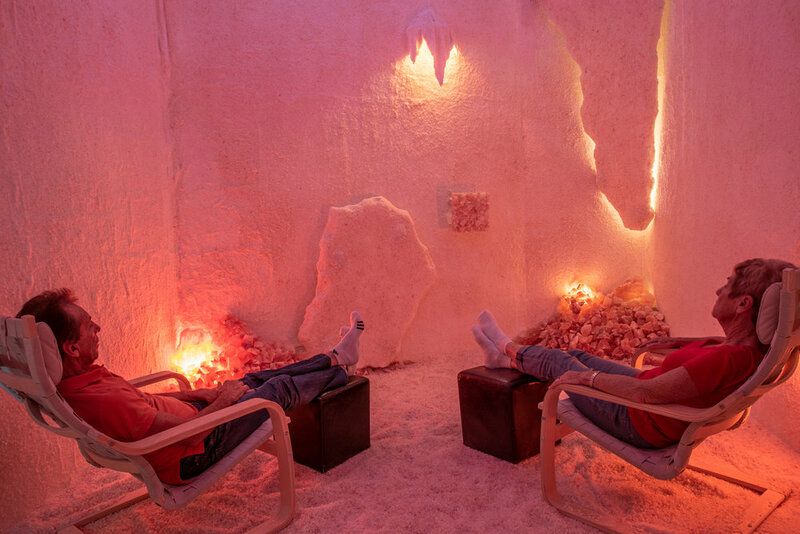 Salt Sanctuary's state-of-the-art Himalayan salt cave provides a naturally relaxing atmosphere where you will immediately feel a drop in blood pressure. This beautifully crafted room also features color therapy where a mix of 16 colors fade in and out via LED lighting placed inside the salt on each of the four walls. This interacts with the human energy system (CHAKRAS) in a distinctive way to balance physical, emotional, and spiritual well-being. Improve the atmosphere of any room with a crystal salt lamp. Place next to the television or computer to absorb electromagnetic frequencies & purify the air. Salt is anti-bacterial and anti-viral, which means that Halotherapy is highly effective for the prevention of colds and flu. It works by dehydrating the pathogen's cells. That having been said… A visit to Salt Sanctuary at the first sign of a cold can prove to be more effective (not to mention less invasive) than over-the-counter remedies. In addition, most of my clients notice a significant difference after just one session! And with a few more they begin to breathe much easier, thereby lessening the need for medications, steroids & inhalers. Halotherapy is great for the skin as well providing relief from eczema, psoriasis, rosacea, acne, rashes and any form of dermatitis. The theory here lies in the understanding of acupuncture and Chinese medicine as the lungs and the skin are connected. 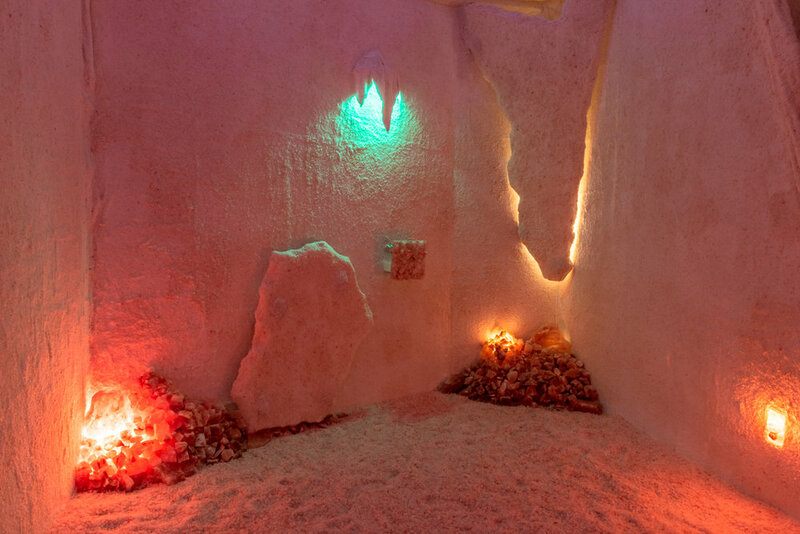 And further more… Salt Room Therapy is a wonderful treatment for sufferers of depression, anxiety, and seasonal affective disorder (SAD) thanks to the emission of negative ions released during each 45-minute salt therapy session.